EXCEPTIONAL SERVICE.. EXTRAORDINARY RESULTS! Whether you're buying or selling,her goal is to provide you with a real estate experience that exceeds your expectations. As your listing agent, her negotiating and marketing skills will get you the best possible price for your home. As your buyer's agent experienced in the art of negotiation,she strives to get you the best possible deal for the home of your dreams. She is an Associate Broker and has achieved certification as Seller Representative Specialist(SRS), Short Sale Certified (SSC), Certified International Property Specialist (CIPS), Certified Probate Real Estate Specialist (CPRES) and Senior Real Estate Specialist (SRES).Guinevere attributes her success to her on-going commitment to giving her personal best and striving to stay at the TOP of her game. Drawing from her business background as a sales/marketing executive with The Wall Street Journal& Saatchi&Saatchi Advertising,she is a strong negotiator who develops innovative marketing strategies to ensure the widest possible exposure for your home. As a trusted advocate to her clients she prides herselfin ensuring that each real estate transaction is handled with integrity, transparency and attention to detail. When it comes to achieving your real estate goals, this dynamic professional gets the job done. There is simply no other way she knows how to do business. So, if your time is valuable and your responsibilities awesome and you want your real estate handled right the first time, make Guinevere your PERSONAL realtor of choice. 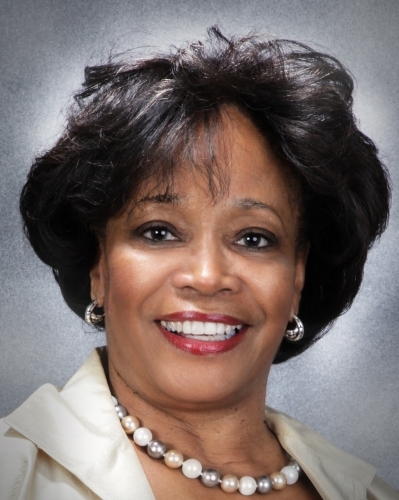 She is an Alpha Kappa Alpha Sorority member, associate member of Jack & Jill of America and a Howard University alumna.